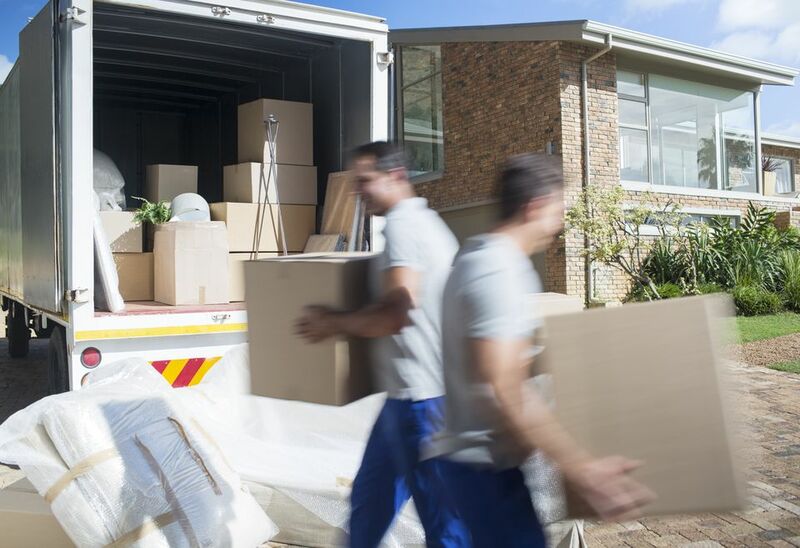 You've rented your moving truck and packed your belongings, and now you need to know how to pack and load the moving truck to make sure all your things arrive at your new home. If you're like my husband, then you'll want to plan how the truck should be loaded. I have to admit, I'm not the most patient mover. I tend to want to just get it done; hopefully, my husband will never read this since I'm about to admit that advance planning on how to load the truck is a good idea. But that's between you and me. If you want to be really detailed and organized, do a walk-through of your house and note the order in which items are loaded. Make a list and group similar sized boxes together. This will make moving day go a lot smoother and faster. Move the largest and heaviest items first. This includes appliances such as the stove, washing machine, refrigerator and dishwasher, and any other item that takes more than two people to move. These items should be loaded on the truck before anything else and kept against the far wall closest to the cab. Keep the items in their upright positions and make sure you balance the truck by placing heavy objects on opposite sides. Use furniture padding to protect wood surfaces and corners. Padding can be rented from the truck rental agent and is worth the little extra it costs. Using padded protection also makes it easier to slide heavier pieces onto the truck. Longer pieces should be loaded next such as box springs, mattresses, long mirrors, headboards, sofas and table-tops on to the truck. Place these items against the longest walls of the truck which will keep them upright and will save space. Make sure you use mattress covers to spare your bed and sofa from rips and tears and make moving a lot easier. Dissemble bed frames, tables and desks and tape pieces together. Do the same for longer items such as skis and poles, lamp bases and lamp parts. When you roll-up your carpets, place these items inside then tape your carpet closed, both around the carpet itself as well as both ends. You can also use linens to stuff both ends of the carpet roll before taping the ends closed. This will prevent items from falling out during the move. Place the carpet on the floor of the truck. Next, start loading the largest and heaviest boxes. Place the boxes on top of the appliances and furniture and make sure you fill any cavities beneath tables, under desks, and on chair seats. Make sure the heavy boxes don't contain any fragile items. Transfer lighter boxes to the truck and stack them on the heavier boxes. And make sure the lightest boxes are on top. Try to stack boxes in rows until they reach the top of the truck. Any space between the top of the boxes and the truck's ceiling should be filled with soft, crushable items such as garbage bags full of clothing, bedding and linens. Place fragile items or awkward shaped items on last. Make sure they don't move around during transport. The best spot for fragile boxed items is in cubbyholes such as underneath tables, desks and beneath chair legs. The last items to be loaded should be those items that can be stuffed into holes and that don't contain anything fragile, such as bags full of clothes, linens, blankets, and towels. Items such as hangers, garage items, boots and shoes and anything that won't break during a move, can be used to fill empty spaces. So, after reading this, you're going to sit down and plan your move, including how to load the moving truck. You'll have a detailed guide to where things are on the truck which will help when you unload it all. Plus, you'll save time and your friends/spouse will thank you for it.